Why is Burger King Called Burger King? Many historians mis-credit James McLamore and David Edgerton with founding what was then called, Insta Burger King, but it was really Keith Kramer and Matthew Burns who came up with the idea. In fact, the latter two men were so impressed by McDonald’s, that in 1953, they began their own incarnation in Jacksonville, Florida. Unfortunately, 6 years later, the business failed and McLamore and Edgerton arrived on scene. 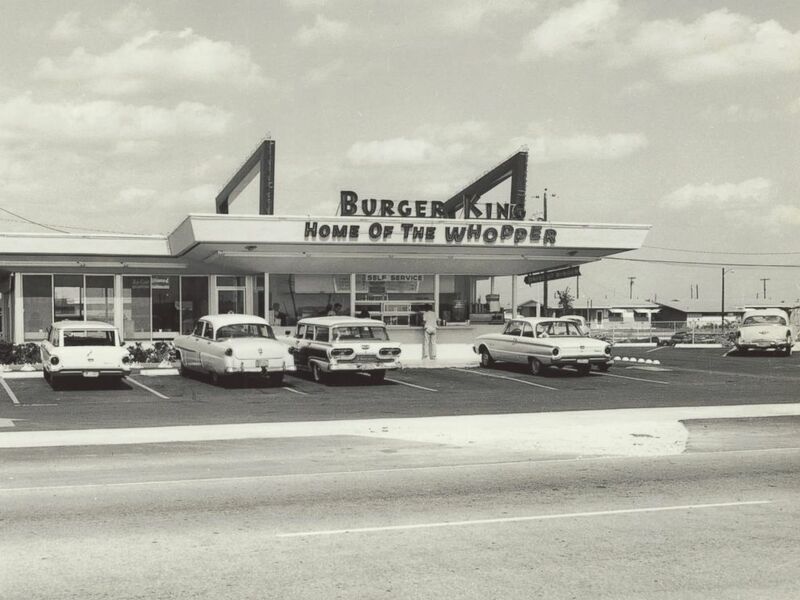 in 1959, Burger King of Miami Inc. was officially founded. And thus, the time of “Have it Your Way” began. Why is it called Burger King? After the initial drop of “Insta” from the name, Burger King has retained the same moniker since it first opened. The Burger King logo was first introduced in 1967. Vibrant reds, blues, and golden yellows are colored just right to attract the eyes of the younger generation. 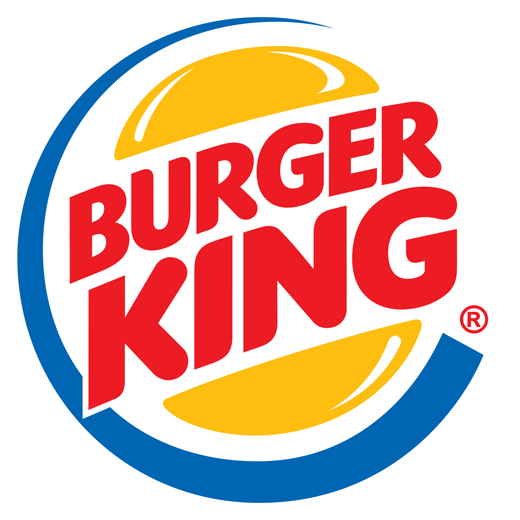 In some logos, the golden yellow half-moons represent the hamburger buns, while the red “Burger King” letters indicate the hamburger meat. Though it has morphed as the years have gone by, the Burger King logo hasn’t changed much. Burger King’s Whopper first graced the menu in 1957 in a time when McDonald’s still had small patties. In 1967, the Pillsbury Company acquired Burger King for $18 million. But round up the BK Kids Club Gang because there was such a thing as the “Burger Wars.” Occurring during the 1980s, the wars are purported to have begun when Sarah Michelle Gellar threw down the gauntlet, claiming Burger King burgers were bigger and better than McDonald’s. This declaration toasted the buns of the top-level McDonald’s executives, who ended up suing. SEE ALSO: Why is McDonald’s Called McDonald’s? This wouldn’t be the first time Burger King saw legal action. In fact, there is a restaurant in Mattoon, Illinois with the same exact name. While not affiliated with the franchise, it is allowed to coexist in that particular town with one of the biggest burger giants. The restaurant was founded before Burger King came to Mattoon and is not likely to be confused with the domain of the King himself. Burger King added hot dogs to the menu in 2016 and actually serves tacos as well. While they may not be of the T-Bell variety, they’re often not something you’d expect from a burger joint. 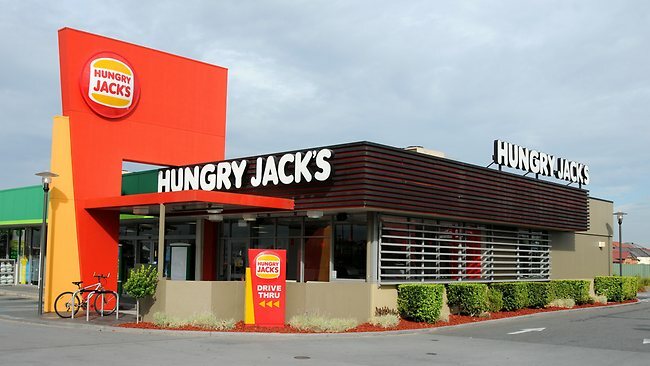 Burger King delivers in 14 different states and is actually called Hungry Jack’s in Australia because they failed to secure the trademark in Australia. In the latest trend of technology, Burger King attempted to intentionally interact with home devices like Google’s Home. The phrase, “Ok Google, what is the Whopper burger?” spoken aloud in the televised advertisement was meant to trigger Google reading aloud the first sentence of the burger’s Wikipedia article. However, shortly after launch, the ad failed to trigger the speaker. In these technologically-advanced times, brands are interacting with customers online, so why not via the TV? The real question, though, is will the King triumph over the Golden Arches? Or has a new era of burger wars begun? Let us know what you think in the comments!